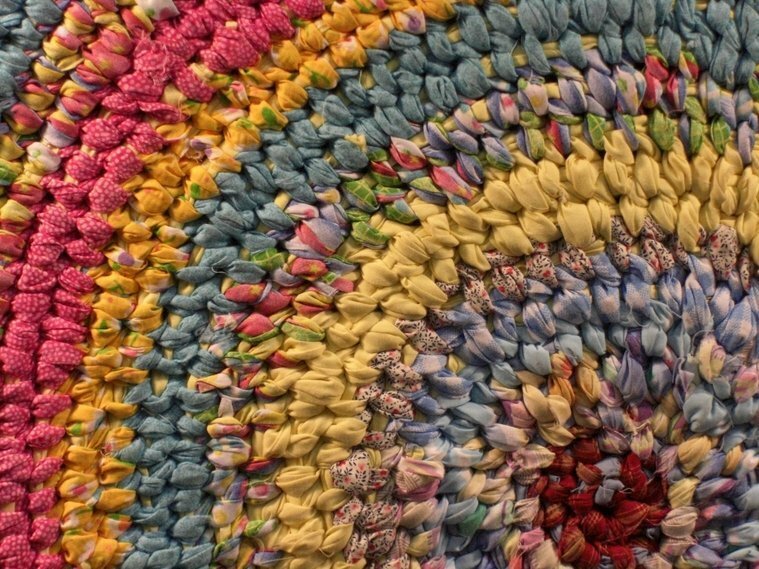 ​​On a recent trip to the Smoky Mountain National Park and nearby Gatlinburg, TN, I met Mary Rush of "Hand Knotted Country Carpets" from Mountain Home, NC. 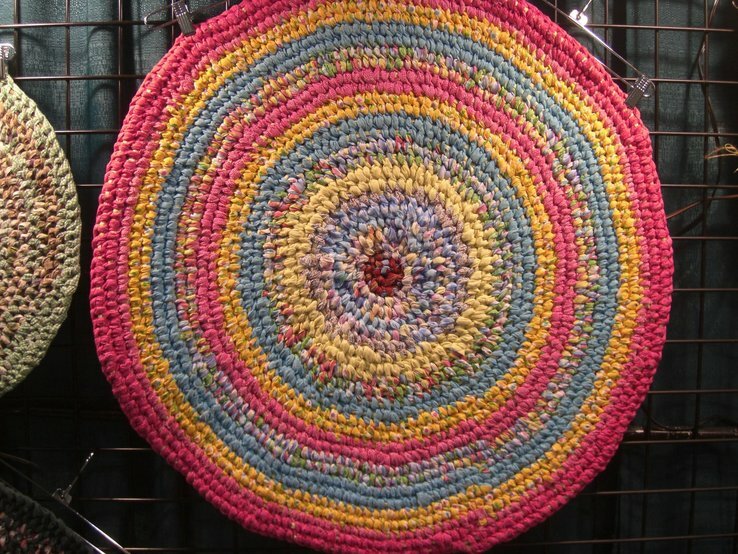 Her demonstration and colorful craft fair booth caught my eye, especially the circular rug shown above. I love the soft colors.